Crush Dude's August 2012 20+ Day Disney Dining Extravaganza!!!! Awesome report! Going to have to adjust some things to add Yachtsman to our list for our December trip! Thanks! 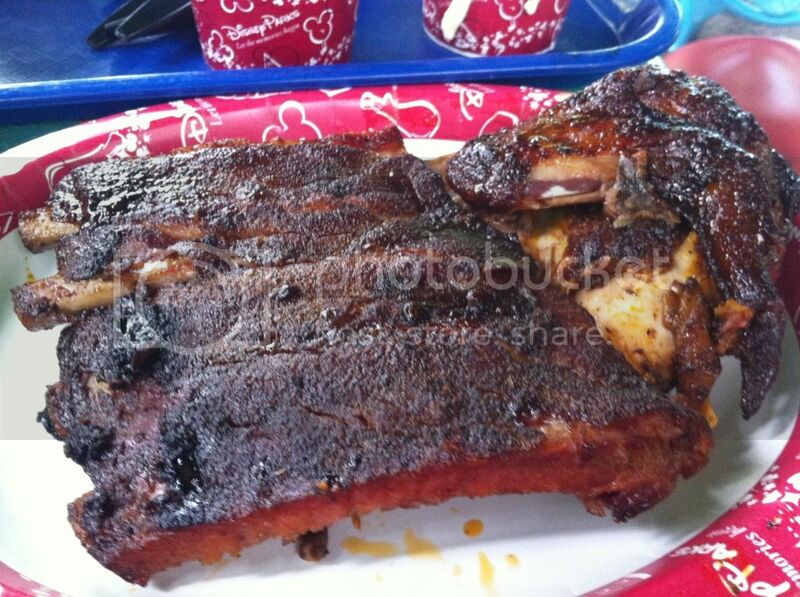 On my trip this year Ribs from Flame Tree was one of my favorite meals. Slurp. Surprised DDP hasn't messed up this place yet. Shhhh. I know. Thank you soooooo much for the awesome post!!! Taking my hubby to Disney for the first time, and you really helped to narrow down on some of the places we were hoping to hit. Still having trouble picking breakfast spots, but I know the MK bakery will be one to visit often thanks to those evil looking waffle sandwiches and cinnamon rolls!!! Brill report! Really enjoyed looking at your food pics! Took me 6 or 7 sittings to make it through this thread....but I did it. 1) I commend you on not only ordering and eating a dessert at every meal but displaying the ability to eat additioanl desserts throughout the day....every day. I'm more of a salty snack guy than a sweet snack guy. I don't think I'd be able to keep up with you. 2) Did you throw up at any point during the trip? 3) The cinnamon roll is on the TOP of my snack list for my December trip. I showed my wife and kids (also huge cinnamon roll fans), and they are very excited. 4) Did you make it on any attractions during the trip? 5) I will make sure a margarita stop is part of my plans. I am very tempted by the coffee and avacado. I am a coffee lover. But is it sweet? Or would the avacado be the better choice? 6) I wish you were able to feast and gorge at a few of my favorite spots for a review in pictures: Blue Zoo, Brown Derby, Flying Fish, Biergarten.